The elementary program at Londonderry encompasses grades 1-8, with mixed-age groupings for 1st/2nd, 3rd/4th, 5th/6th and 7th/8th. All grade groupings have two available classrooms, and parents and students are welcomed to visit and interact with teachers and classrooms, and select the best environment for the following academic year. The only exception to this is 7th/8th grade, which has one classroom with four teachers, which maintains a smaller breakout class size for the various academic subjects. The relationship between parent, student and teacher is an important aspect in every child’s education, and families are encouraged to participate in the classroom, be a part of the learning experience, and work with their child’s teachers throughout the year. The Londonderry philosophy views the student as a natural and curious learner with the teacher as facilitator in the learning process. The teacher establishes an enriching academic curriculum, with an engaging, interactive, and differentiated environment that promotes individual, small group, and whole class learning. 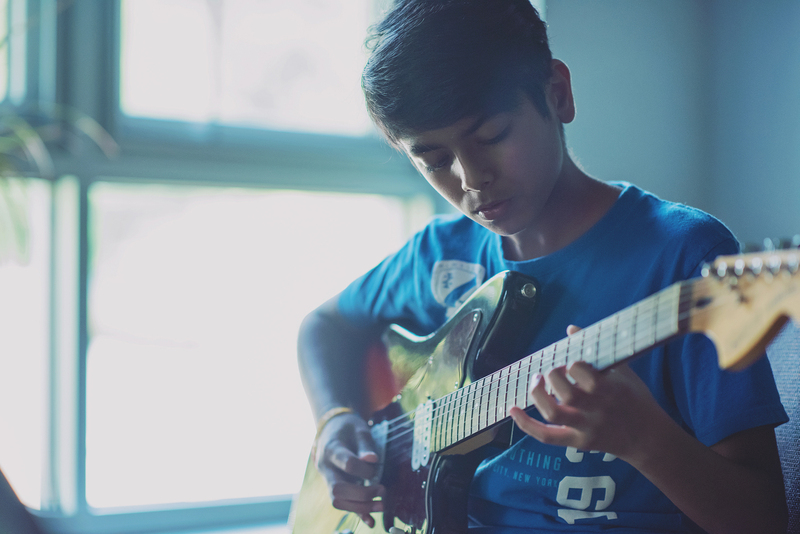 Students are supported in their environment and feel comfortable questioning, taking risks, and learning from their mistakes and their classmates. Critical thinking and problem solving are a key emphasis in your child’s daily classes. Your child will engage in special classes including Art, Science, History, Technology, Spanish, Music, Physical Education, and Computers, in which your child will learn the programming language of Logo. On beautiful days, it is not uncommon to find a teacher opt to move the classroom into the outdoors, always a highlight for the students. 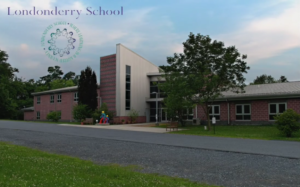 In fact, one important feature of the Londonderry philosophy is the incorporation of outdoor time for all grade levels, with two or more recess periods per day on our large, grassy schoolyard and wooded play area. Children participate in free play which often includes pick-up games of soccer, basketball, or capture the flag, or the building of structures and fairy villages in the wooded areas. Londonderry also offers standard playground equipment of swings, slides and a much-loved tree swing. A Buddy Bench is also featured for children in need of a playmate. One popular in-school activity is our Big Friend/Little Friend program, in which an older student is paired with a younger student as a companion for Londonderry special events such as International Day, Spanish Day, and Arts Fest, as well as, special Big Friend/Little Friend events planned during lunch and reading times. Additional in-school activities include the annual Read-a-Thon, sponsored by Pete Godber’s 3rd/4th grade class, class plays performed by 1st/2nd grade students, and participation in Science Fair or History Fair – voluntary up until 3rd grade. Field Day, a day of outdoor activities, and Performance Day, where students are able to show off their skills to the school, are also student favorites. Wacky Wednesday is an exciting program that allows students to pick a special activity every 8 weeks, covering a variety of fun activities including cooking, hiking, community service, yoga, kickball, crafts, computer games, and many more. Our 5th/6th graders are trained in a week-long Peer Mediation Course every other year. After completing the course, the students are recognized as Peer Mediators, and can then be called upon to help mediate conflicts between younger students. The Londonderry Kid’s Committee consists of 2 students per grade, raising money for school/community causes. In addition, the Kid’s Committee holds a Toy Raffle during Winter Fest, a Sundae Sale, hosts a Teacher Appreciation Luncheon and sponsors a student in Haiti so she may afford school tuition. Out-of-school activities include field trips for all grades, and an educational and memorable three-day camping trip in the Fall for 5th/6th grades and in the Spring for 3rd/4th grades, held at Fowler’s Hollow State Park. Londonderry’s annual Spring play is held at the Scottish Rite Theater and includes all students, with older students having the choice to act, dance, work as a stage hand, or run lighting and sound. Additionally, the 7th/8th graders have their own special Middle School dance in the Spring. After-school clubs for your older student include the Book Club and our award-winning Science Club. Your 7th/8th grader will visit the Renaissance Faire, see historical or literature-based plays, take a field trip to a regional art museum, attend either The Nutcracker or a Harrisburg Symphony performance, and attend a two-night environmental field trip, with past locales including the Chesapeake Bay, Baltimore Aquarium and Pinchot Park. Our current class of 7th/8th graders is raising funds this school year to fund a trip to the Chesapeake Bay. Parent/Teacher conferences are held twice per academic year. Busing is available from all public school districts whose boundaries lie within 10 miles of Londonderry. Capital Area Intermediate Unit support is offered for reading, math, speech/language therapy and counseling. Before or after-school care is available if you choose to drop off and/or pick up your child(ren). Flexible enrollment is available year-round without penalty for late entrants. Londonderry will accommodate your student for family travel scheduled during the school year. School day hours are 8:45 – 2:45.